One of our best selling range of steel storage cages for use outside. 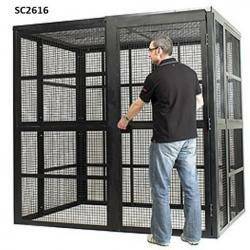 These outdoor security cages give a highly secure method of storing gas bottles and cylinders and other valuables. Steel metal mesh panels give a secure and tamper proof protection. These outdoor security cages have a double hinged lockable door as standard with steel staple and hasp closure that is compatible with all security padlocks. Our design will ensure your items will be securely stored giving you peace of mind. 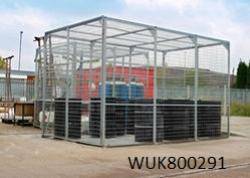 Our galvanised cages are all totally weatherproof to enable you to site them where you wish both internally , externally or in a cold storage environment. 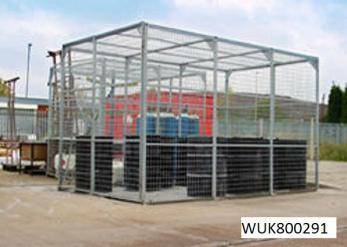 All our security cages use 2230 mm high panels with internal floor fixing plates for additional security and maximum storage space.